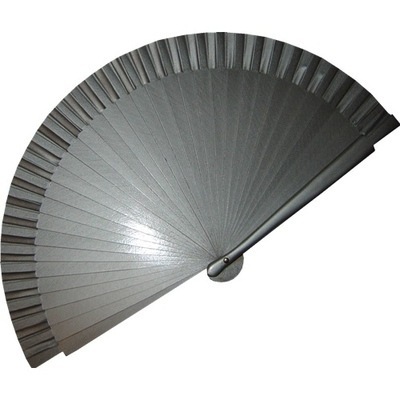 Plain wooden fan with fabric edge. Painted silver on both sides. Size: 19 cm when closed.